The Journal for Cultural Research has just published a special issue on Arab popular culture which, needless to say, has several articles focusing on Egypt the hub of Arab popular culture. I’m especially excited to see an article by my former graduate student, Dalia Said Mostafa. Valassopoulos, Anastasia, Tarik Sabry, Caroline Rooney, Mark Westmoreland, Adel Iskandar and Rasha Salti. 2012. Arab Cultural Studies – Thinking Aloud: Theorizing and Planning for the Future of a Discipline. The Journal of Arab Cultural Studies 16(2-3): 117-134. Armbrust, Walter. 2012. A History of New Media in the Arab Middle East. The Journal of Arab Cultural Studies 16(2-3): 155-174. Ball, Anna. 2012. Impossible Intimacies: Towards a Visual Politics of “Touch” at the Israeli-Palestinian Border. The Journal of Arab Cultural Studies 16(2-3): 175-195. Bernard, Anna. 2012. Consuming Palestine: The Israeli-Palestinian Conflict in Metropolitan Popular Culture. The Journal of Arab Cultural Studies 16(2-3): 197-216. Gordon, Joel. 2012. Broken Heart of the City: Youssef Chahine’s Bab al-Hadid (Cairo Station). The Journal of Arab Cultural Studies 16(2-3): 217-237. Cairo Station/Bab al-Hadid (1958) is widely considered to be Youssef Chahine’s signature piece. For Chahine (1926-2008), Egypt’s most celebrated director, as well as most critics and viewers the filmic images became iconic. Yet because of its daring break with certain studio conventions, the film reaped negative reviews and public hostility upon its release. Despite its rediscovery in later years, it remains a film that is difficult to categorize, not quite neo-realist and not quite revolutionary, due to a strong melodramatic streak and a startling psycho-sexual, rather than political focus. This essay re-examines the classic film as the work of an artist struggling to bend genre conventions while exploring the kaleidoscope of a metropolis undergoing rapid sociological and political transformation. It explores the history of Cairo, and of Cairo’s central rail station, the claustrophobic epicenter of the story – a site of constant motion, to and from the city, of youthful hope and, all too often, of shattered, and at times, demented dreams. Hamam, Iman. 2012. Satellite Arcades: Three-Dimensional Puppets and the Coin-Operated Interface. The Journal of Arab Cultural Studies 16(2-3): 239-259. 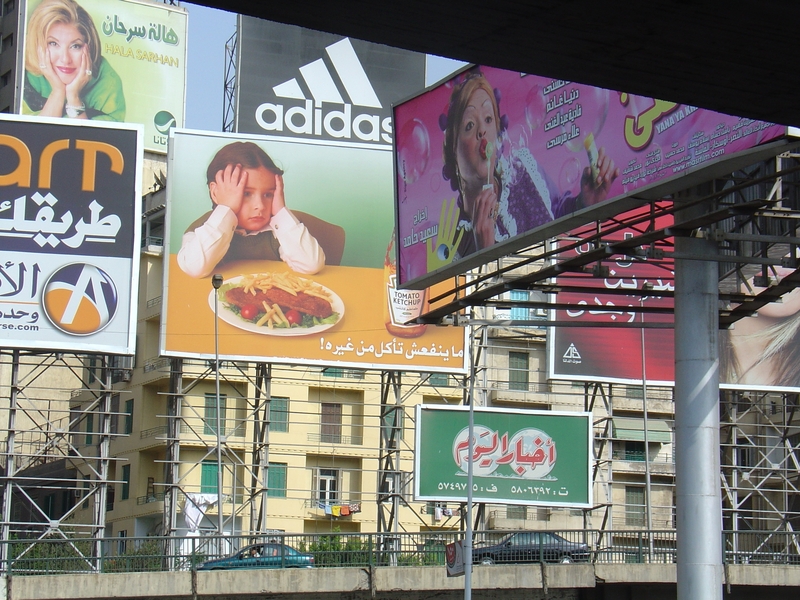 This article explores the intersections between satellite television and mobile phone culture in the Arab world. The option of interactive television, offered by lotteries, quizzes and chat channels which demand that viewers call in or send messages to participate, effectively transforms the medium into a coin operated interface which bears resemblance with peep shows and live wrestling. Programs such as the 2009 three-dimensional (3-D) animated Al-Mofatish Korombo (Detective Korombo), female hosted quiz channels as well as television chat channels in which text dominates the screen, are marked by anxieties about the place of the body within the context of these new technologies and the prosthetic nature of the medium. By drawing on a tradition of puppetry and the video arcade, these convergences have reconceptualized the media body, switched television into an interface, and have dramatically altered the configuration of audience interaction with the screen. The resulting television aesthetic is one which copes with these anxieties by reverting to text as the primary medium through which viewers communicate within (and perhaps across) the parameters of profit driven channels. Mostafa, Dalia Said. 2012. Popular Culture and Nationalism in Egypt: ‘Arab Lotfi and Egyptian Popular Music. The Journal of Arab Cultural Studies 16(2-3): 261-282. This paper aims to establish some theoretical links between documentary film-making, popular culture, and the concept of nationalism in contemporary Egypt, through analyzing two documentary films by film-maker ‘Arab Lotfy, Seven Nights and a Dawn and Rango: Yield of the Nile. The two documentaries were produced in 1998 by the Egyptian Satellite Specialized Nile Channels. Through these documentaries, I aim to analyze how certain communities define and enact their national heritage and history through the medium of popular art. This article analyses Egyptian film-maker Yousry Nasrallah’s film The Aquarium (2008) as a germane example of a new genre of film-making in Egypt that is emblematic of a revolution in film-making on the level of film language, technique and format. The author argues that although many commercial and independent films in Egypt in the past decade have taken up social, political and economic problems, and have helped expose the endemic corruption and bankruptcy of the Mubarak regime, the bulk of these films have not contributed to revolutionizing the medium itself through technique and point of view. Furthermore, most of these films suffer from a type of didacticism. In contradistinction, The Aquarium offers a salient example of using innovative filmic language in Egyptian cinema to expose many societal and political issues that plague Egyptian society. Hence, this article investigates the innovative aspects of The Aquarium at the level of film language, locating the film within the realm of the cinematic innovations that the French New Wave ushered in. If post-25 January Egyptian cinematic production results in revolutionizing the content and narrative structure of films, it is the hope that innovations will also happen at the level of the visual and film language. Finally, this article argues that Yousry Nasrallah’s film provides a cogent precedent in the revolutionizing of film grammar in Egyptian cinema.